Kitamura Shirane nado to tomo ni Nitten de Katsuyaku. Shiga-ken Yanmā Kaikan (chōkoku to shitsunai sōshoku de yūmei na tatemono Showa 33 nen kansei) no seisaku ni Takenaka Soyokazera to tomo ni sanka suru. Shikanji Shoichi (1911–1990). Gō (art name): Zuisho. 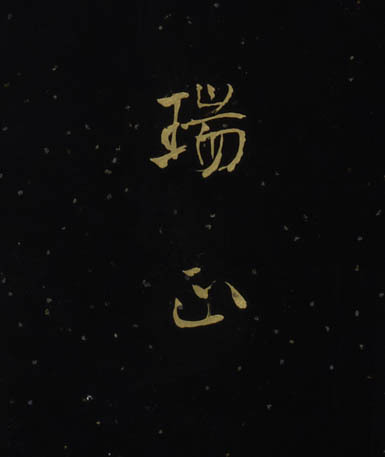 In 1926 he began to study lacquer techniques under Yamamoto Tatsuzo. From 1950 he exhibited at Nitten (Japan Fine Arts Exhibition), and in 1962 his work took the Grand Prize at the Toyama Prefectural Art Exhibition. In 1983 and 1987 Zuisho was decorated by the government for his important contributions to the arts. The furosaki byobu (screen) is specifically designed for use in chanoyu (tea ceremony). Placed in the corner of the tea house it denotes the season or whatever theme the host has chosen to portray. It works as a backdrop for the kama (kettle) and also for the various precious objects such as the koro (incense box) and chawan (tea bowl) used during the performance of this ancient ritual. 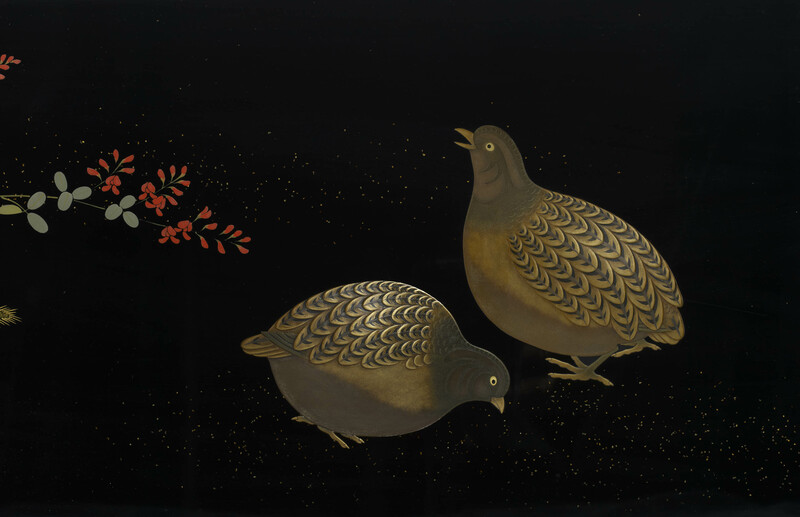 In Japan uzura (quails) are emblematic of autumn, fruitfulness and also symbolise martial valour due to their fighting spirit. 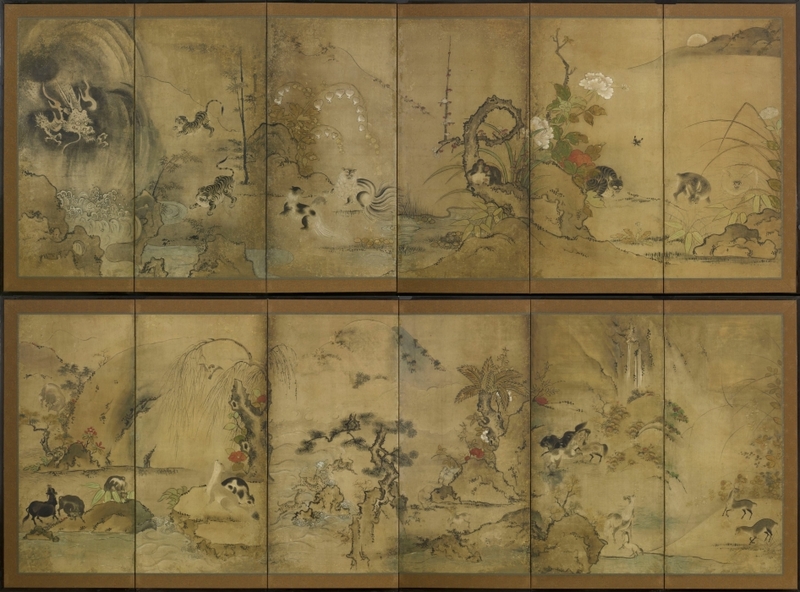 A popular motif from the Muromachi period onwards they are usually depicted with millet or autumnal grasses. Millet is also associated with autumn and was introduced from the mainland to Japan during the Yayoi period (900BC – 250AD). SKU: 6719. Categories: Furosaki, Screens.